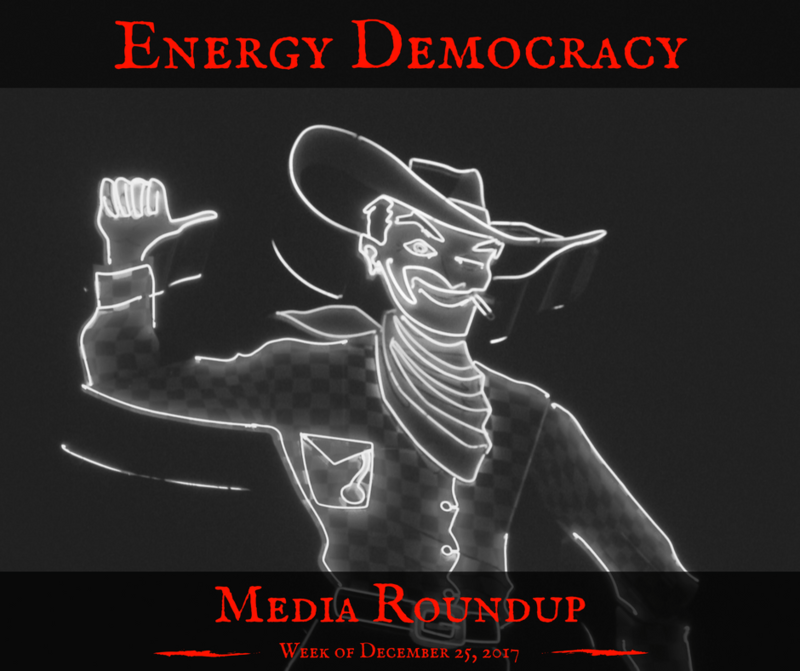 Shocking investigative reports published this month highlight our longstanding concerns about deficient oversight of growing utility monopolies. Utilities consistently game the system to win massive benefits for shareholders and executives at the expense of electric customers and their communities. Charleston, SC, is on the hook for $1.2 million in payments for a now-defunct nuclear power plant — enough to cover starting salaries for 26 police officers. The Roper Hospital there pays $43,000 per month for a power plant that will never produce a single kilowatt-hour. The costly failure of the South Carolina power plant happened despite state oversight of the project, and approvals for nine rate hikes to cover the $9 billion tab. Meanwhile, top utility executives received performance bonuses. Similar failures of public oversight plague regulators in Florida, Georgia, and Indiana, helped along by lawmakers who allowed utilities to make risky bets with customer money. We believe our system can, and should, work better in 2018. 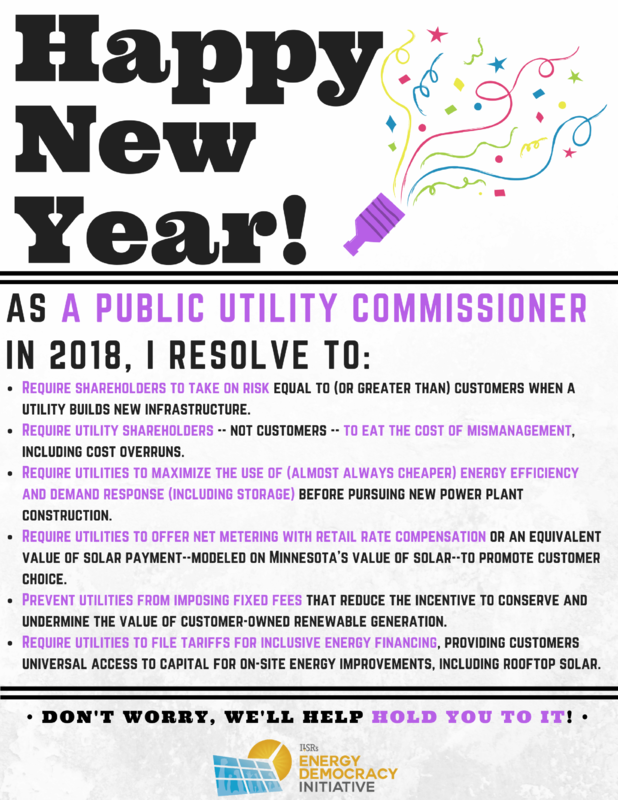 We offer these new year’s resolutions for state regulatory commissioners. 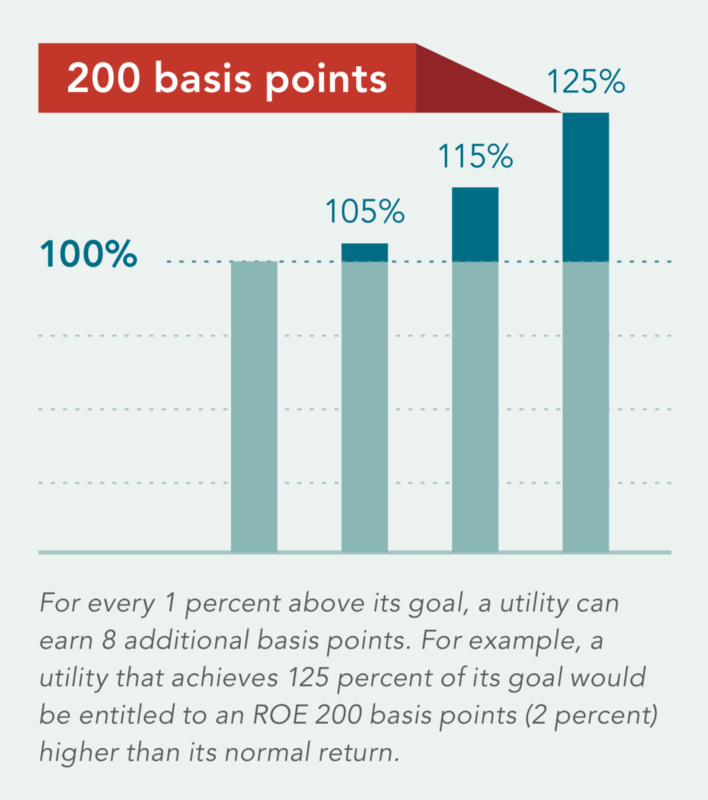 Require shareholders to take on risk equal to (or greater than) customers when a utility builds new infrastructure. Require utility shareholders — not customers — to eat the cost of mismanagement, including cost overruns. Require utilities to maximize the use of (almost always cheaper) energy efficiency and demand response (including storage) before pursuing new power plant construction. Require utilities to offer net metering with retail rate compensation or an equivalent value of solar payment–modeled on Minnesota’s value of solar–to promote customer choice. Prevent utilities from imposing fixed fees that reduce the incentive to conserve and undermine the value of customer-owned renewable generation. Require utilities to file tariffs for inclusive energy financing, providing customers universal access to capital for on-site energy improvements, including rooftop solar.